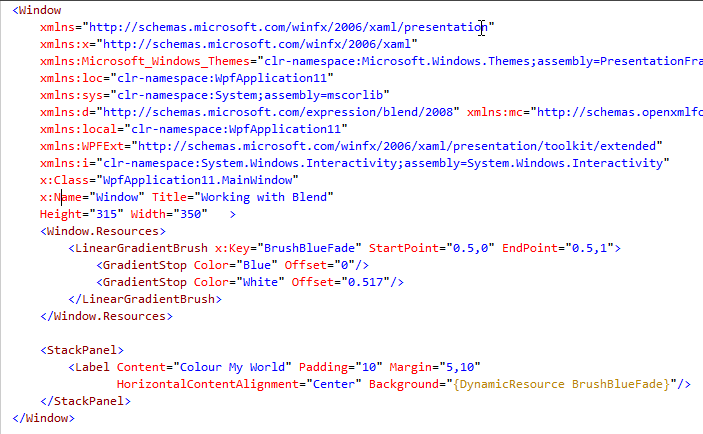 When you convert an object to a resource using Blend, the definition of the object is moved from the control where it was defined into a resource dictionary and given a unique name. 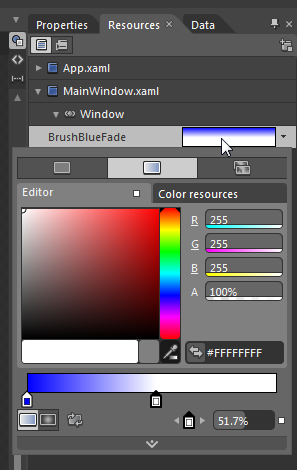 In the XAML fragment below, the resource dictionary defined for the Window contains a single entry with the key “BrushBlueFade”. The Label control then uses this brush by name for its Background property. In Blend, you can see all of the resources that you’ve defined by clicking on the Resources tab. 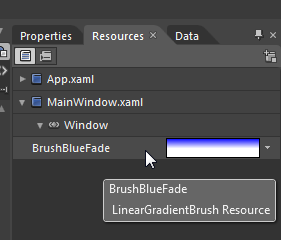 Below, we can see the “BrushBlueFade” resource under the Window object, as well as a preview of the resource. You can modify a resource directly from this panel by left-clicking on it. In this case, we get the normal palette for editing a gradient brush. 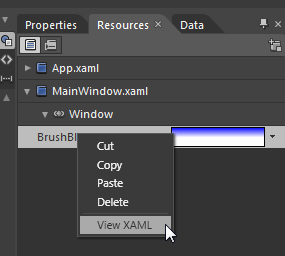 You can also view the XAML for the resource by right-clicking and selecting View XAML.